Define tactile receptors and the six principles of Comfort Touch. Identify the primary intention of Comfort Touch and who can benefit from this modality including physical and psychosocial benefits. 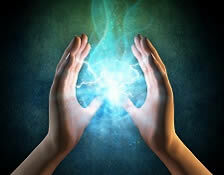 Discover how Comfort Touch is used as a complement to conventional medicine. List the physical and psychosocial issues and changes in functionality associated with aging and illness. Differentiate the various reasons for grieving and the primary phases in the grieving process. Recognize the roles and responsibilities for Comfort Touch practitioners including scope of practice, hygiene, Universal Precautions, confidentiality and documentation (including client intake). Identify cautions and considerations in the use of Comfort Touch. Observe the various client positions when performing Comfort Touch and body patterning for the practitioner. Observe the six guiding principles of Comfort Touch and the acronym SCRIBE (Slow, Comforting, Respectful, Into Center, Broad, Encompassing) and how they relate to specific application technique. Study the basic techniques of Comfort Touch and the importance of the awareness of anatomy, breathing and grounding, as well as sequences of a Comfort Touch session. Learn how to incorporate other modalities into Comfort Touch. Identify ways to adapt to the client’s needs based on functionality as well as pain and discomfort. Determine Comfort Touch considerations for special populations including those with psychological issues and trauma, infants and children, pregnant and post-partum clients, medical/surgical patients, and clients with chronic and terminal illnesses. Outline how to communicate clearly and effectively with the client and their healthcare team both verbally and in writing. Review basic forms for documentation including client information and CARE notes. Evaluate the importance of self-care including proper sleep and rest, movement, exercise and nutrition as well as maintaining professional boundaries. Select appropriate settings for performing Comfort Touch and administration of Comfort Touch programs including funding programs, marketing and community outreach. Review Standard and Universal Precautions. Determine cautions and contraindications when integrating aromatherapy with Comfort Touch as well as the sensible use of scents in practice. The course DVD provides you with visual training in the seated and supine positions as well as how to prepare for an at home visit. I've been in practice for 36 years. Since graduating this is in my top two favorite courses. For the next part of this learning, I'd like to take the hands on portion in person within a group class. Thank you for the many hours of meticulous care you put into putting these written materials together. Also, thank you for the fantastic video. All materials are clear and easy to understand. I was drawn to this course for several reasons - primarily because my mother has early onset Alzheimer's Disease/Dementia, Rheumatoid Arthritis and has recently survived a stroke. Over the past two years, I've tried giving her massage but, aside from Craniosacral Therapy and Reiki, everything is too painful for her. Also, she doesn't really like the feeling of static holds that the energy therapies tend to prefer and gets uncomfortable after about 10 minutes of these other bodywork sessions. She was the perfect practice partner and I look forward to treating her to many more Comfort Touch sessions as I incorporate it into other aspects of my practice! Secondly, I'm a big chair massage advocate. I know many therapists don't like it but, to me it is the best way to address the masses! I have worked on people that would never book a session in any other setting. I see lots of potential of using methods I've learned in this course on people who are not necessarily Ill or Elderly! It is really beautiful and important work and I see the basic need for comforting, respectful touch in so many populations these days... (I can't wait to try it on a baby soon too!) Finally, because of Hurricane Matthew 2016, the CEU class I had originally signed up for was cancelled and thanks to Integrative Healthcare, I was able to complete my requirements quickly and on-time while studying something that was genuinely helpful and incredibly interesting! Thank you so much Mary Kathleen Rose and Integrative Healthcare! Having parents that have passed on makes me wish that I had studied this before they left this earth. So kind and tender and loving. It made me cry in several places and I will treat elderly people with much care and respect because we all get there! Thank you. Although this course was very easy, it was so enjoyable. I am inspired to go to Fred Hutcherson Cancer Treatment Center and also to some local retirement homes in my area to see if it is possible to use what I learned. I would enjoy this work very much. Thank you for providing this class. It’s possible that it may change my life (and other’s) in a very positive and meaningful way. I cannot put into words how much I loved this course. I drank it in, and was disappointed when I got to the end of the book. Through this course I got my direction. I will be going into hospice, and will forever hold this book dear to my heart! Thank you so much! I feel I have gained a new world of knowledge that will benefit my scope of practice for professional and personal. My dear mother-in-law, whom I view as a mother has C.O.P.D. and has to live in a nursing home, I can now better understand her needs and help give her the comfort she deserves. Thank you very much. I found this course exceptionally through and practical. The variety of resources and approaches made it suitable for different learning styles. 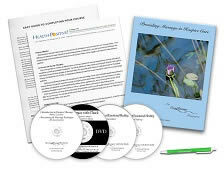 The inclusion of photos, drawings, exercises, and hints for practice were effective in reinforcing the materials, not to mention the DVD and companion website. The test was not very difficult and I could have completed it in a shorter time then the approximately 16 hours I spent on the course, but I was motivated to read and study more carefully. Those who work with geriatric clients will find this course to be very valuable, engaging with a spiritual stillness of unity with yourself and your client. Comforting touch has taught me so much in how to age in place, and live in the now, and appreciate the moment with a client. Comfort touch is a continued learning process with endless results. This course was very easy to understand. I am happy to have learned some NEW techniques! I am very excited to use this with my elderly clients, and also people that have fibromyalgia. Thank you! I thoroughly enjoyed this course. I have been a massage therapist for over 20 years and my clients, many who have been with me for over 10 years, are aging. Since their needs are changing, I will be able to offer them a more gentle approach. I always enjoy learning new ideas and techniques about massage and Comfort Touch has certainly taught me some new techniques as well as reinforced practices that I already have learned. The DVD is nice to have. I always like to see a live presentation since just reading about the techniques can sometimes be subject to interpretation. This my first visit to your website, I thought it was simple to navigate and appreciated the discounts. Decent price value to the courses is also appreciated. Institute for Integrative Healthcare makes continuing education convenient and affordable. The Comfort Touch course was very informative and beneficial in my practice in working with hospice, the elderly and terminally ill. The course materials were presented and laid out in a clear and concise manner. Thank you for offering this course. I have been a LMT for 30 years and my clients are getting older. I know that with Comfort Touch techniques, I can continue to provide a safe and comfortable environment for them. Great course. I am expanding my "tool box" and this course was perfect to help me expand into massage for the elderly and sick. I like the technique of comfort touch - very easy to understand and learn. Also a great modality when working with individuals that cannot access a massage table comfortably. I have been a licensed massage therapist for 30 years. My clientele are aging with me. Comfort Touch was extremely helpful in my ability to nurture and care for their needs. Truly enjoyed. Comfort Touch Massage for the elderly and ill was one of the most comprehensive classes I have taken with the Institute for Integrative Healthcare Studies. I will use this continuing education class material for my current and future elderly and ill clients. I highly recommend the Comfort Touch Massage for the Elderly and Ill to other licensed massage therapists. This course was excellent and the reading material was informative and very interesting. Highly recommend. I loved everything about this course - the book, the DVD, the loving and respectful content and intent of comfort touch. It is a wonderful way for me to "give-back to the community who supported me. Thank you for providing this fulfilling and needed modality. This course was very informative and I will use many of the techniques presented in this course. I have used the Institute many times and will again. Your staff is always friendly and helpful. This course was EXACTLY what I was looking for to advance my career with a new knowledge and understanding of the elderly through COMFORT TOUCH. I felt this course to compliment well my present target groups of clients. I would strongly recommend this course for experienced massage therapists not new therapists in the field. Having already a strong foundation as a practitioner is greatly helpful to implement Comfort Touch with confidence, safe, appropriate and effective for each client and for self. This class was very informative and interesting. I was skeptical at first as I wasn't sure if reading a workbook would be enough for me to clearly understand and put into practice. However, I was wrong. This was very easy and interesting to keep me going. I am exceptionally pleased with this class and would recommend it to others. It was also exciting finding a modality I can do out there without the expense of my body that allows me to do the work for the reason I actually got started in the business of massage therapy, bringing a comforting touch to those in need. Sometimes all a person needs is to know there is someone out there that cares. Thank you for reaffirming my life's work and getting me excited again. I have my 90 year old mother living with me and I have worked with several elderly over the years. I have always been gentle while massaging them but I really did learn some new things that I will apply to my practice. I enjoyed the content and loved learning new ideas. Thank you. I found this course the fulfillment of a dream concerning meeting the needs of the elderly in this wonderful way of Comfort Touch. I anticipate using this at a time in the future when I am fully able to fulfill this lifelong dream of working with the elderly. I have taken other courses similar in subject, so some of the information was not new. I enjoyed the course and its content. One of the better that I have taken online. So much so that I will search to attend a live class in the future. This course has by far been my favorite. I really enjoyed learning the material and philosophy of Comfort Touch. The coursework was well organized with concise explanations. The video is especially helpful. I was also pleased to see chapters covering self-care as well as tips on implementing the practice of Comfort Touch in a variety of environments. I look forward to using these techniques with the elderly and ill populations in my community. This course was very insightful and I gained a lot of knowledge which will make me a better therapist. I LOVED taking this course, Comfort Touch for the Elderly and Ill. It is as comprehensive a course as any that I've taken before. In the mail, you receive a textbook AND a DVD, which can be used for marketing purposes and to show to Wellness Coordinators at hospitals and hospices. I found the reading material very engaging and informative. I loved the stories that Mary included in each chapter from practitioners of Comfort Touch. I could feel how much Mary Kathleen loves this nurturing style of massage. I am looking forward to using this therapy on my clients who can't tolerate the usual Swedish Massage techniques. Thank you Mary Kathleen and Institute for Integrative Healthcare Studies. With this course it was sometimes hard to understand the questions. I knew the answers but I was unsure as to if it was right. It took some thinking for answers but this was good because I had to read more into the book for the answers. I did enjoy the course. I am going to work with hospice so this will be helpful. I have taken many courses with the Institute over the years and found this course exceptional as our needs for the elderly and ill continue to need professional care. Excellent information. I like that the DVD’s are included with the course information so I can look back over it again and again. Wonderful Course! I would highly recommend to anyone!!! Excellent course. As massage modalities and alternative treatments are being included in hospitals and specialized care facilities the term “comfort” is an essential part of the patient care as they have a choice rather than enduring the required tests and unpleasant treatment. This course was very informative. After 17 years of practice and dealing with the elderly & ill I learned many things. When taking this course. I realized some mistakes I was making with the elderly. I liked the fact you are not fixing the person. wholeness, with presence. Useful tools, with things to say to clients. I sometimes lack in that area. Thank you Mary for your insight and course. This course was very interesting. I gained new knowledge. Great content and recommended exercises to round out your CE. Highly recommend this course to LMTs and others who want to nurture those who are elderly or ill. This is probably the best course from Integrative Healthcare Studies that I've taken, and I've taken 12 others!! I absolutely enjoyed this course and I have shared my enthusiasm with other practitioners. They are wanting to take the course as well. I am very excited to practice on my family and friends, can hardly wait to share it with my clients!! Thank you so much for offering this. I would love to meet Mary Kathleen Rose and take a course with her. I would like to contact her and see if she would come to Billings Montana. I would be most happy to host her if she would. As working with elderly and frail clients is a special interest to me, I found this course to be very informative and instructional. It was an awesome course! Will be checking out others, to take in the future. Emma was VERY helpful, Thank you Emma. Lots of material included in the course also. I really enjoyed the Comfort Touch course. It explained the techniques and types of pressure beautifully when working with elderly or ill clients. Very different from just the general massage. At first I was not sure if I would like this course but as I got into it I really appreciated that so much that I take for granted after 30 years was put down so clearly and comprehensively. I learned a great deal and I really enjoyed taking the course. The course was extremely informative and inspiring. There is a definite need for this type of continuing education course. Very clear and answers just about any question one may have. I enjoyed the course materials. I will continue to write and read the practice exercises going forward, in addition to the self care. I appreciated that aspect as well. Very good course. Informative, very descriptive, easy to practice and learn. I will use it in my practice as a massage therapist. Great course! I learned a lot! I enjoyed this course. The DVD was an added bonus. I feel I learned valuable information to enhance my massage practice and a gentler way of working on some of my elderly clients.